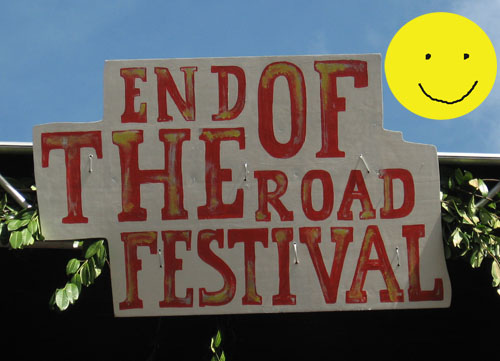 Best small festival winners of 2011 (and personal favourite) End of the Road have just announced their head liners and first artists for 2012. Grizzly Bear have pole position with Tindersticks confirmed as co-headliners. Beach House will play a UK festival exclusive as part of Bella Union's 15th Anniversary celebrations. The bill will also be joined by The Antlers, Jeffrey Lewis and the Junkyard, Mountain Man, Frank Fairfield, The Strange Boys, I Break Horses, Justin Townes Earle, Richard Buckner, First Aid Kit, Doug Paisley, Robyn Hitchcock, Stranded Horse, Outfit, Moulettes, Driver Drive Faster, Robert Ellis, Delicate Steve and Sleep Party People. Bands I've seen, bands I've been wanting to see and bands I've never heard of!